We have sought to escape the dominant paradigm of the contemporary police station, characterised as they are by opacity, security and fenced compounds. Instead, an emphasis is placed upon the police station as a truly public community building: inviting, accessible and part of the civic fabric of the neighbourhood. 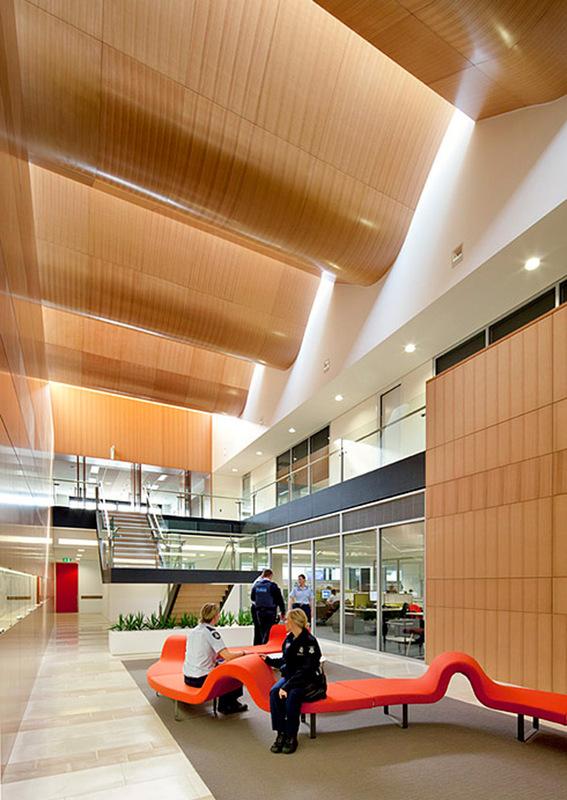 The same strict technical and, in particular, security requirements were achieved to create a safe working environment, all within the very tight cost constraints for this typology. Our intention was to reinforce the Victoria Police’s vision of a more open and interactive approach to contemporary policing. The more public elements of the station are composed within an overarching formal frame, addressing the primary street and lifting the scale of the building to the adjacent Masonic Hall. This profiled concrete frame is like an abstraction of a portico, enlarging the entrance and sense of invitation while positioning the public meeting and control rooms in a tight composition whilst opening them to natural light from above. 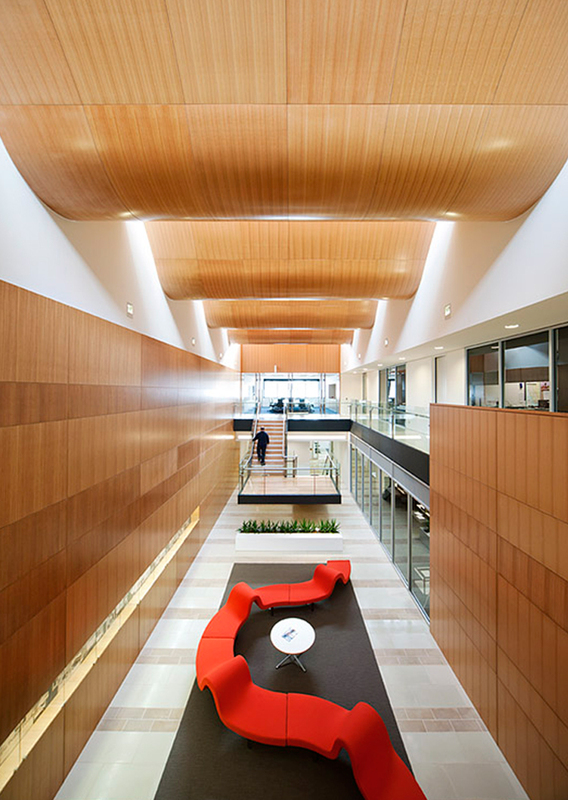 The work spaces, meeting rooms, sally port, holding rooms and gymnasium within the station are gathered around a central top-lit atrium, lined with timber. The atrium is the central circulation spine, a place for informal meetings and special events with a stage created by the switchback stair, but also an honorific space of contemplation to the nature of community policing. Within this top-lit space is an integrated exhibition/artwork displaying the historical progression of the local police from the turn of the twentieth century through to the present time. An emphasis has been placed upon the expressive and tectonic development of natural materials within the primary public spaces of the station. The atrium is lined with Victorian Ash panels and lit from above, with light reflected around curved, cloud-like baffles. The perimeter of the main station volume is a layered system of glass operable panels, a captured linear landscaped garden, and a wall of continuous metal louvre grilles that provide environmental mediation and security.